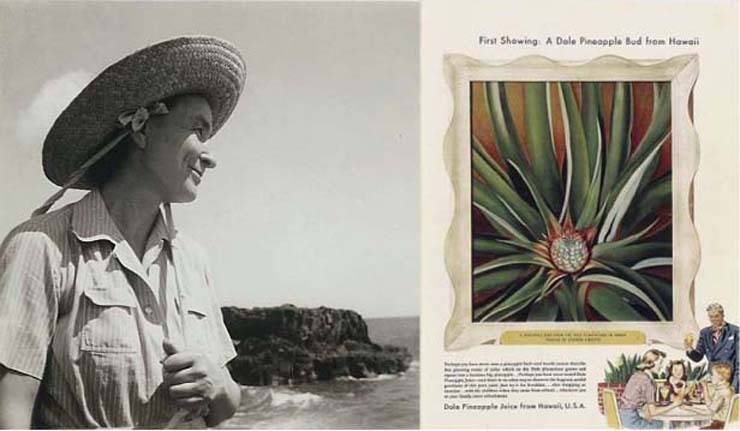 In 1938 Dole, the “Hawaiian Pineapple Company” approached artist Georgia O’Keeffe, offering her an all-expenses-paid trip to Hawaii. For that she would deliver two canvases for use in an ad campaign. O’Keeffe could determine the subject herself. Dole’s offer came at the right time. O’Keeffe was 51, living full-time in New Mexico while her husband, photographer and gallerist Alfred Stieglitz, stayed in New York City. He was having an affair with activist Dorothy Norman and O’Keeffe suffered several nervous breakdowns in the 30s. Finally, on April 14, 1939, it was time to leave. When O’Keeffe returned to the U.S., she got sick and wasn’t able to deliver her paintings to Dole until summer. The company got one version of the striking lobster’s claw heliconia and another of a papaya tree. But no pineapple. Really? Hard to believe, after 2 months in Hawaii and you are THERE to paint pineapples..? 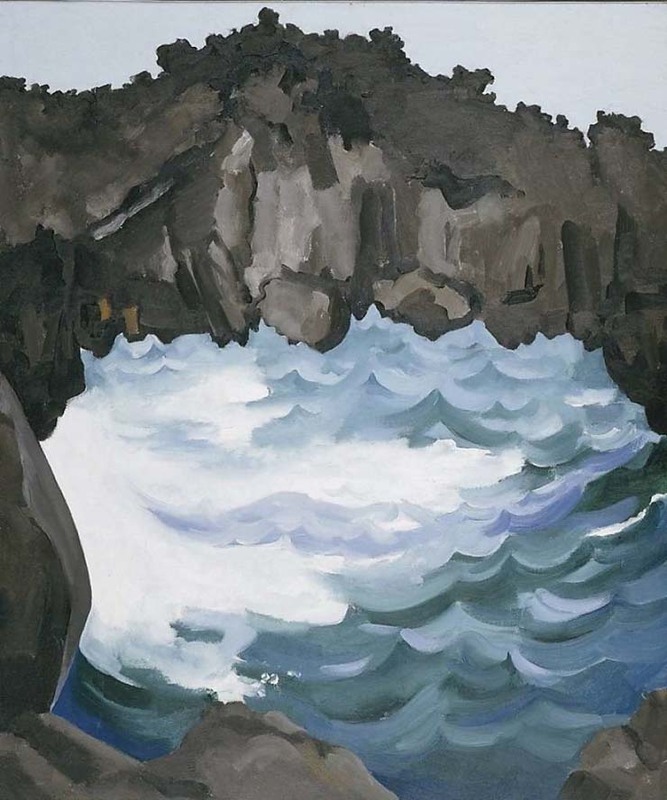 O'Keefe's paintings appeared in ads in Vogue and the Saturday Evening Post.